Randolph Dental Laboratory offers a full spectrum of services, using modern equipment and highly skilled staff. download the prescription/rx. RDL provides an excellent Porcelain Fused to Metal value. Even with the huge technological advances in alternative material, PFM prosthetic cases are still the most widely prescribed replacement for natural dentition. When either Porcelain Fused to Metal or Full Cast Crowns are in order, we will help the dentist by translating and applying the necessary technology into the best results for the patient. These products are 100% metal-free, a feature that prevents gingival darkening and removes the possibility of exposing metallic margins if gum recession begins. 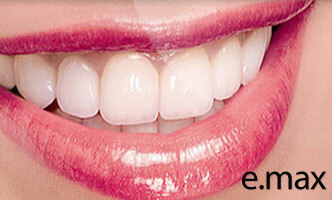 They are naturally esthetic transmitting the color of substrate and adjacent teeth. 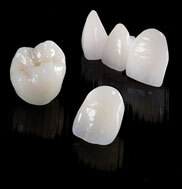 IPS e.max® is an advanced pressed ceramic of an even greater strength than that of the original Empress product. It’s added strength comes from the lithium disilicate material, making it the ideal choice for complex smile design and posterior single unit restorations. Full Z is monolithic and made from pure zirconium oxide. 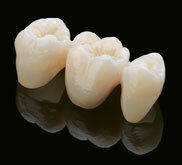 PFZ has a premium quality zirconium oxide core with a porcelain overly. At 1200 MPa, the PFZ has a comparable flexural strength of traditional porcelain-fused-to –metal restorations while maintaining a natural and vibrant translucency. *At RDL, our professional staff is fully trained and certified to use these materials to maximize the esthetic qualities made possible by these proven products. There are limitations to the types of preparations and margins necessary for success with the glass ceramics. Generally, the preparations should be well tapered and provide rounded line angles. The margin type should be a shoulder or deep chamfer preparation. Advances in cutting edge technology have revolutionized dentistry and RDL is proud to lead the way in adopting technology that improves the patient’s experience, enhances the doctor’s efficiency and creates a more accurate restoration. 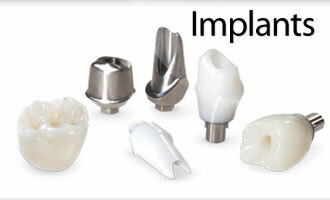 Our inhouse Amann Girrbach Ceramill CAD/CAM system is delivering precise-fitting, patient-satisfying restorations. 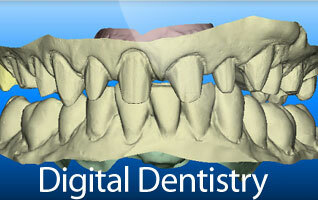 With our ability to receive digital impressions from iTero, your practice will see an increase in its overall productivity. RDL is a Cadent iTero partner lab CAD station. What does intra oral scanning mean to you? Diagnostic Wax-Ups are a valuable tool for any smile makeover because they give the patient an accurate preview of how their finished case will look. With this technique, the lab removes the desired amount of tooth structure from the preoperative model and the restoration is waxed onto the patient’s actual prepped teeth. This method accurately shows the patient, dentist and lab technician what is realistically available for the patient. The Diagnostic Wax-Up also helps many patients determine if they’ll pursue treatment by comparing this wax-up model to their existing smile. For this reason, all Diagnostic Wax-Ups are fabricated from white stone models with white wax to produce the most lifelike result possible. Are you a Cadent/Aligntech iTero clinician? We, at Randolph Dental Laboratory, embrace evolving technology in the dental industry and strive to meet the needs of all our existing and potential customers. Accepting your digital impression file is no problem. Additionally, using a digital impression system doesn't mean you're confined to only milled restorations, such as zirconia. Using the modelwork fabricated from the digital file by Cadent/Aligntech, we can fabricate any restoration type desired, from a standard PFM to a pressed and stacked e.max crown or bridge. To send us files, simply call 1-800-577-8767 and request from customer support that Randolph Dental Laboratory be added to your account. When you select the Ship To option on the Rx page, there is a scroll down menu that lists the labs which you have requested be added to your account. From there, select our laboratory to send us the case.